Lafayette General Health has an excellent opportunity for an Internal Medicine physician in Lafayette, LA. Our Lafayette General Medical Doctors (LGMD) physician group is seeking a full-time, employed BC/BE Internal Medicine physician to practice in a traditional internal medicine practice model. The successful candidate will be expected to practice in Lafayette, LA in an outpatient clinic setting including hospital call in an 8-person rotation. Lafayette General Health (LGH) is Acadiana’s largest non-profit, community-owned regional health system committed to always delivering excellence. The system has over 4,000 employees, serving the south-central region of Louisiana by aligning with facilities across Acadiana. 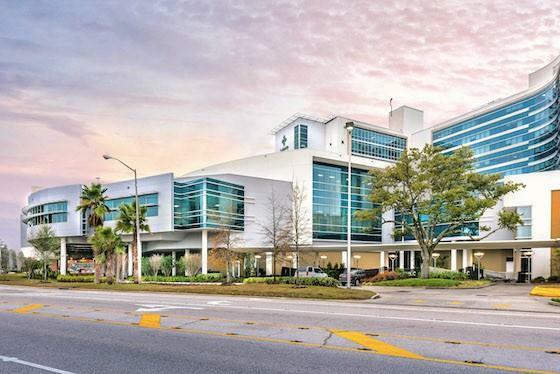 With Lafayette General Medical Center (LGMC) as the flagship hospital, LGH also owns or manages Lafayette General Orthopaedic Hospital, Oil Center Surgical Plaza, St. Martin Hospital, University Hospital & Clinics (UHC), Acadia General Hospital and Abrom Kaplan Memorial Hospital. LGH also has clinical affiliations with several other hospitals and professional medical centers across South Louisiana. LGMC and UHC, Acadiana's only two teaching hospitals, provide graduate medical education across many disciplines. LGH also owns LGMD Physician Group, a non-profit corporation that operates and manages several physician clinics, including Family Medicine and Internal Medicine, as well as many specialists and surgeons. LGH helps patients participate in their own health care by offering My Health the online patient portal, allowing people to view lab results and medical information for each hospital in the LGH system. 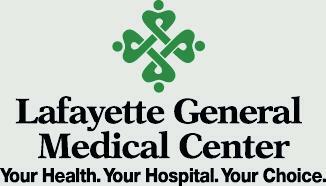 Lafayette General Medical Center (LGMC) staffs a total of 475 beds, including 366 at its main campus, 85 at its Southwest campus and 24 at the Behavioral Health Unit. It is the largest full-service acute-care medical center in Acadiana. LGMC operates the busiest emergency room and only Level 2 Trauma designation in Acadiana and handles the highest level of trauma in the region. In an effort to meet the needs of the community, LGMC boasts a Center of Excellence in Breast Imaging, has an Accredited Cancer Center, an accredited Metabolic and Bariatric Surgery program and is an Advanced Certified Primary Stroke Center, and is a Blue Cross Blue Shield Blue Distinction Center in Maternity Care and in Bariatrics.